Mozilla and eBay International AG announced they are working together to improve the online auction experience for users in France, Germany and the United Kingdom. The two companies said they are collaborating on new technology and approaches to enable eBay users to stay up to date with their auctions more easily from within Firefox, a popular web browser, regardless of where they are on the Web. Asked if the agreement would extend to other eBay sites, spokesperson Catherine England said, "We'll be announcing more details about our collaboration with Mozilla later this year. We don't have additional details to share at this time." Harald Eisenächer, Vice President and Chief Marketing Officer, eBay in Germany, was quoted in the press release stating, "We are thrilled to be working with Mozilla and to explore a great opportunity that benefits both our communities of users. 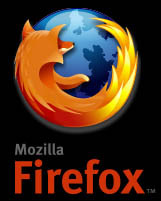 Our work together will help the great community of Firefox users more easily use eBay and stay up to date with their auctions."